Lui Che Woo is Chairman of K. Wah Group. K. Wah is a multinational conglomerate involved, amongst other things, in property, entertainment, hotels and construction. A philanthropist, Lui has been supportive of the development of medical care, education and information technology. 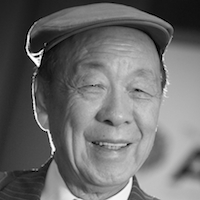 Lui was born in Jiangmen, China in August 9, 1929. In 2011, Lui's company Galaxy Entertainment Group Limited opened the $2 billion Galaxy Macau casino which has contributed to the market cap of $40 billion. In April 2012, GEG announced the development of Galaxy Macau Phase 2 that will nearly double the size of the existing resort to one million square meters. Upon its targeted completion by mid-2015, Galaxy Macau Phase 2 will bring to Macau some of the most exciting entertainment, leisure, retail and MICE facilities. In 2014 Lui Che Woo was named second richest man in Hong Kong with an estimated worth of US$22 billion. Lui has over 50 years' experience in quarrying, construction materials and property development. An asteroid discovered by the Purple Mountain Observatory in Nanjing was named after Lui Che Woo in 1995 in recognition of his contribution to the development of Astrology research in China. In recognition of his exemplary contributions to the community, Lui was made a Member of the Order of the British Empire by The Queen (MBE) in 1982. "Frankly, there is no guaranteed succession and innovation model. Nonetheless, it is my sincere hope that all generations of K. Wah Group staff - from young to old - will learn and work together in the interest of not only themselves but the Group. This will take us to even greater heights of achievement." Lui Che-woo, Chairman of K.Wah Group, October 2013.